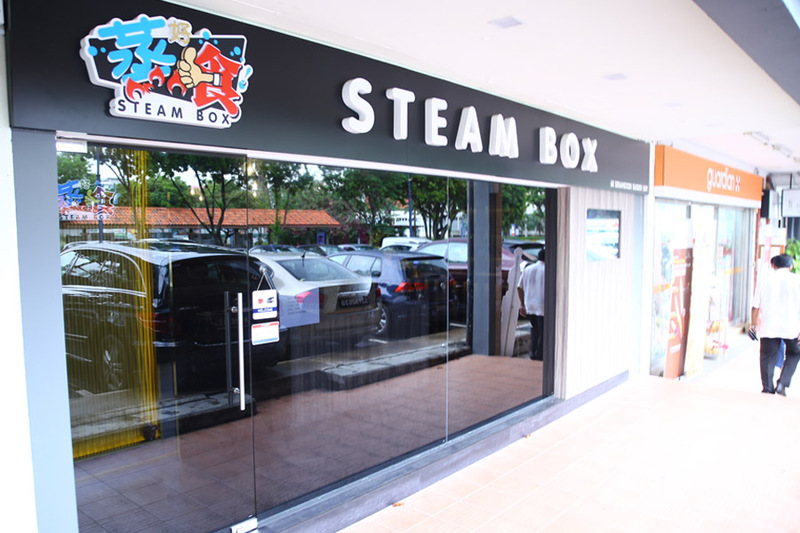 You can find Hong Kong’s hottest food trend “Steam-Potting” in Singapore, at Steam Box located at Serangoon Gardens (less than 5 min walk from Chomp Chomp). This is a different way of enjoying ‘steamboat’. 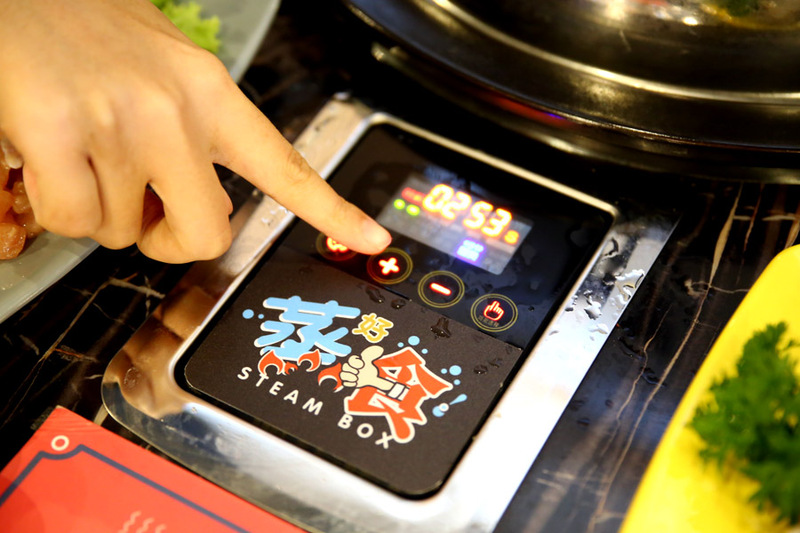 Food is cooked by high-speed steaming, not boiled. If you are racking your brains to think about the next new thing to jio your family, friends or colleagues, look no further. 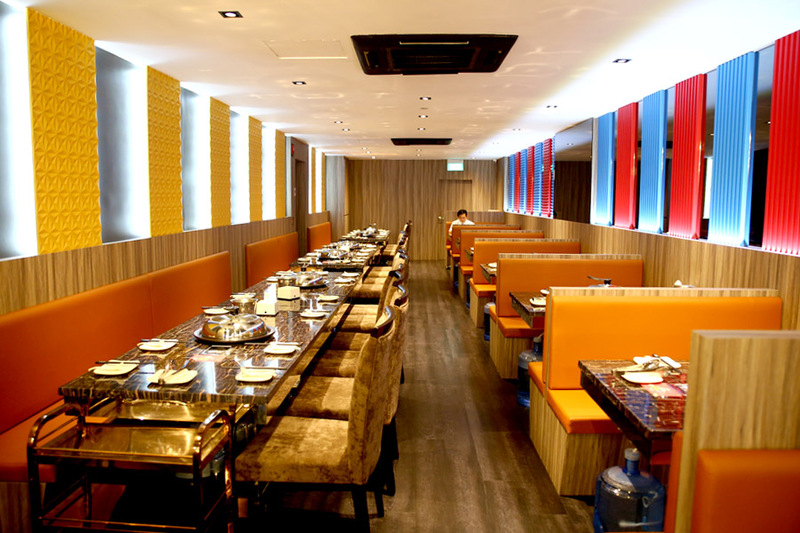 Special mention of their Super Value Set Lunch at $11.80++ per pax, where you get to choose any 3 dishes (2 + 1 vegetable dish). Available from Tuesdays to Friday, 11am – 3pm. 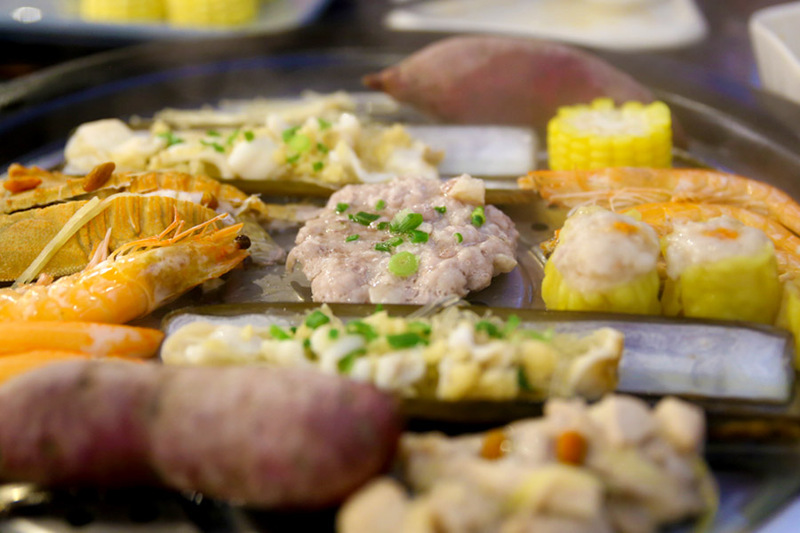 Apparently, these restaurants are quite the big thing in Hong Kong, with celebrities such as Alan Tam opening up similar concepts. 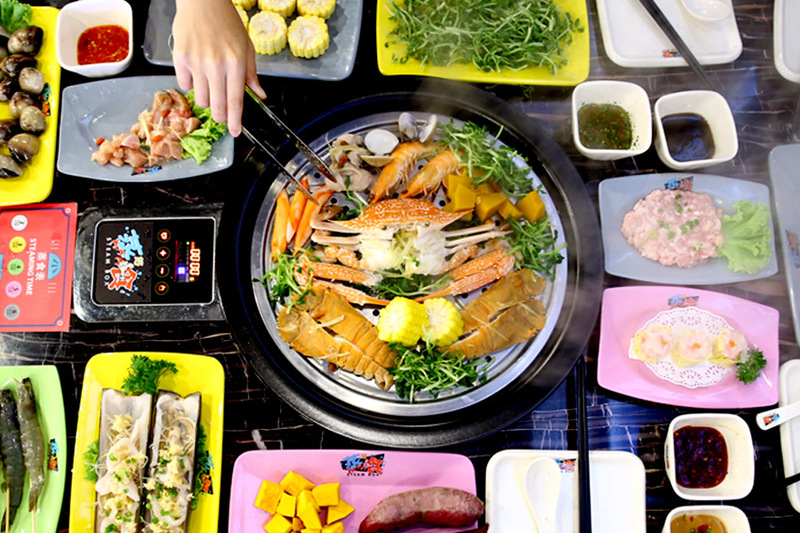 Here’s how Steam-Potting works: Order your ingredients and they will be brought to your table raw on coloured-plates. 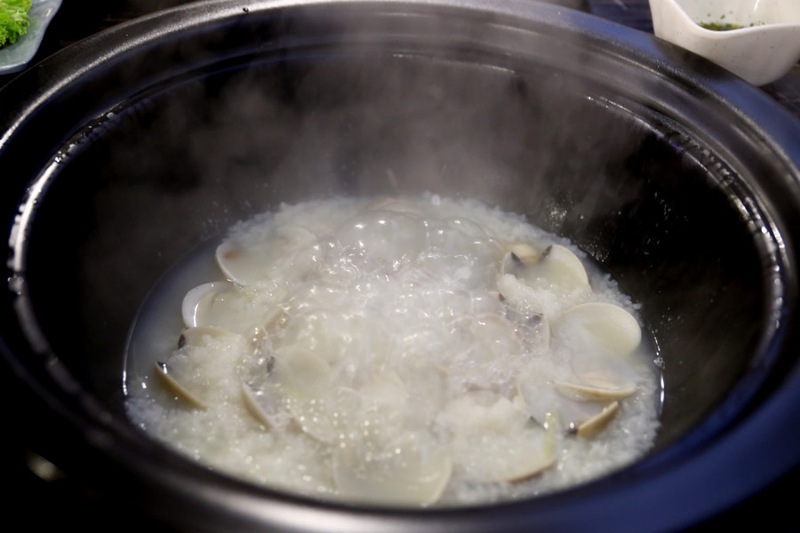 Before the actual steaming starts, a Congee will first be prepared, with ingredients such as rice, clams, dried scallop and broth added to the base. 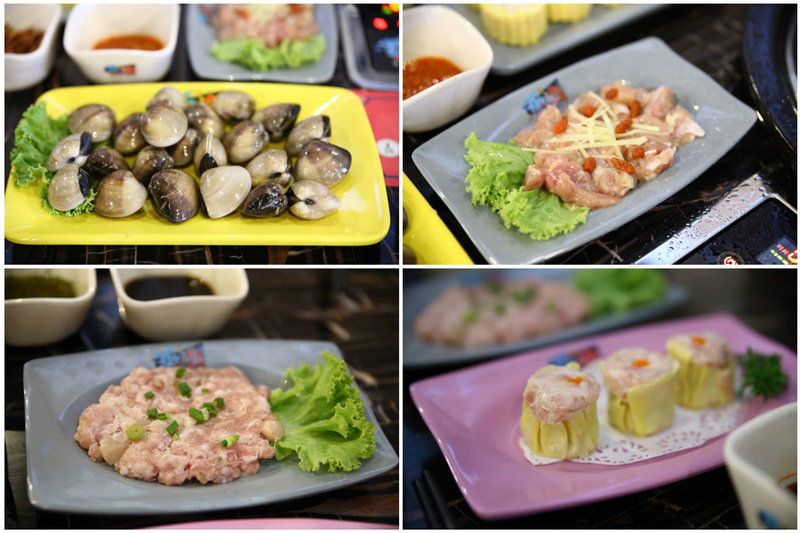 I ordered a $18 version, there is also another at $15 with century egg, pork rib and parsley. 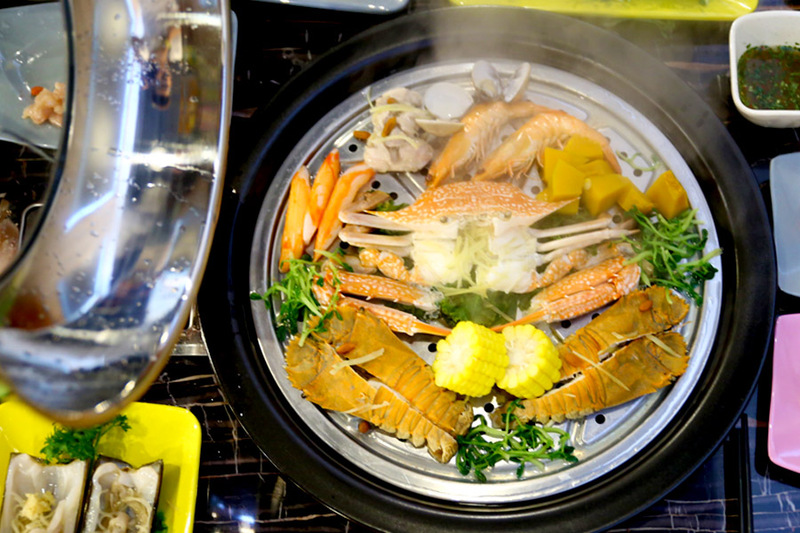 Then the chosen ingredients will be freshly steamed on a perforated tray, using an innovative technique of high-speed steaming. 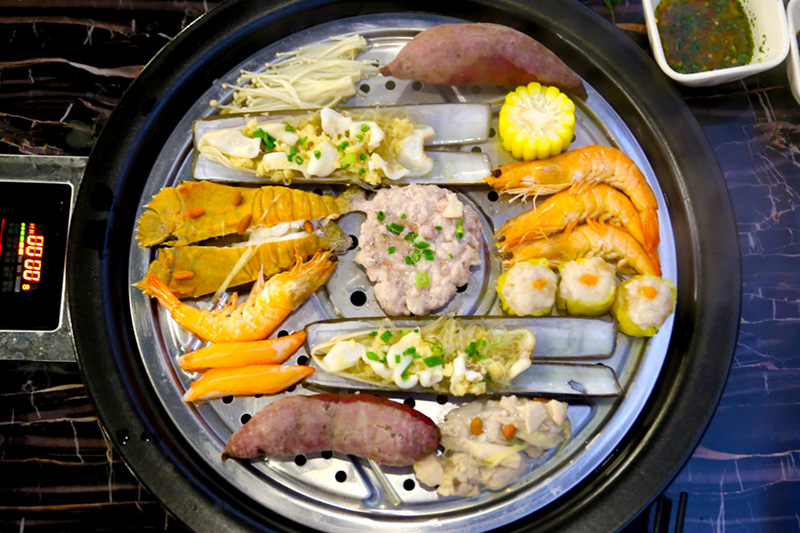 The varied-coloured plates do not indicate price, but instead the recommended time needed for the ingredient to be cooked. How clever. 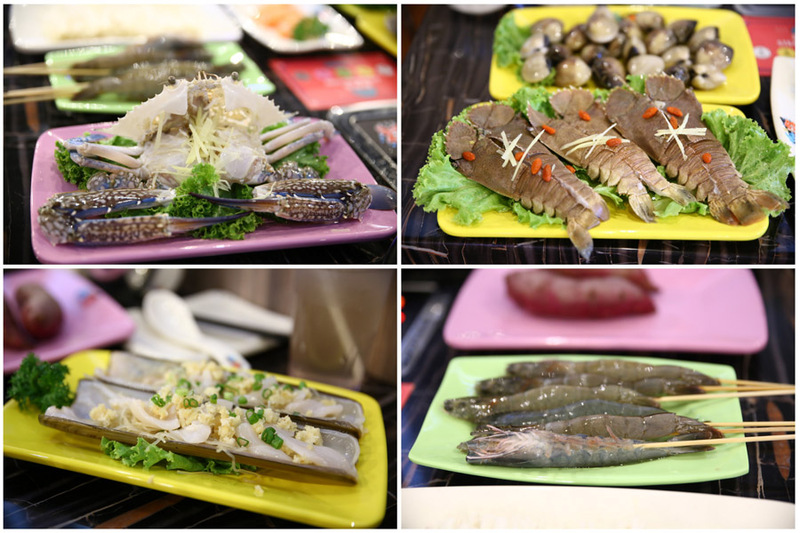 Some of the recommended ingredients include: Fresh Flower Crab ($15, $28 for 3), Crayfish ($25 for 3-4 pieces), Fresh Live Clams ($13), Fresh Tiger Prawns ($11.5, $23), Marinated Chinese-style Ginger Chicken Thigh with Wolfberry ($9), and Chef Marinated Minced Pork with Premium Salted Fish ($9). 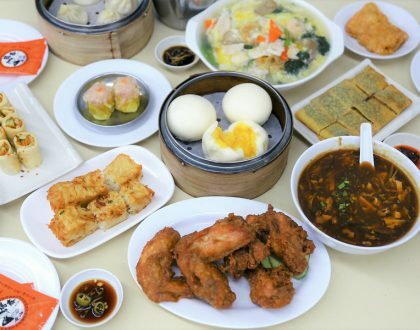 This is also one of the few places in Singapore to enjoy Dim Sum such as Siew Mai ($4.20), Prawn Dumpling ($4.80) and Creamy Egg Custard Bun ($4.80) that are steamed upon order. 2017’s NEW additions include Eight Treasures Porridge ($16) and Double Happiness Chicken Porridge ($16), Phoenix Prawns ($12.80), Scallops with Cheese and Bacon ($19.80), Sliced Smoked Duck ($6.80), Stuffed Cabbage Rolls ($6.80), Bacon-wrapped Baby Potatoes ($9.80) and Vietnamese Crab Meat Rolls ($6.80). 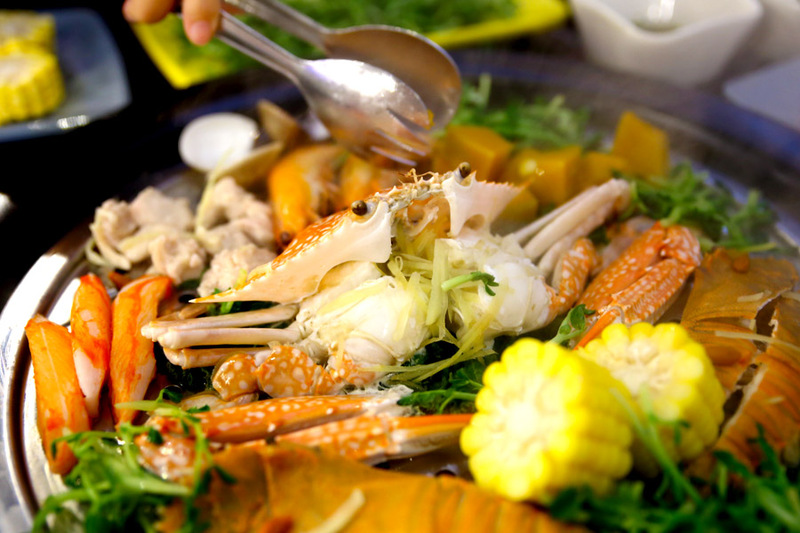 You can really taste and freshness and sweetness of the seafood, with all the natural juices of the ingredients locked in. The Marinated Chicken Thigh is my recommended must-order. 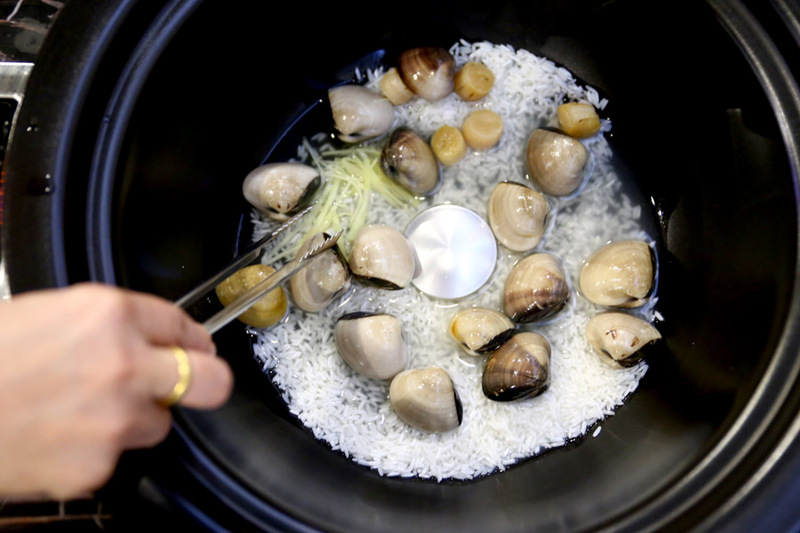 This is also supposedly a healthier way (than say steamboats) because you do not get as much fat, scum and oil. Although the few of us ordered A LOT (you can see by the photo), we easily cleared almost everything. 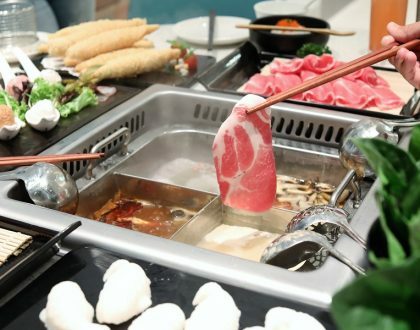 Somehow as the dishes were steamed, the meat didn’t feel as heavy. 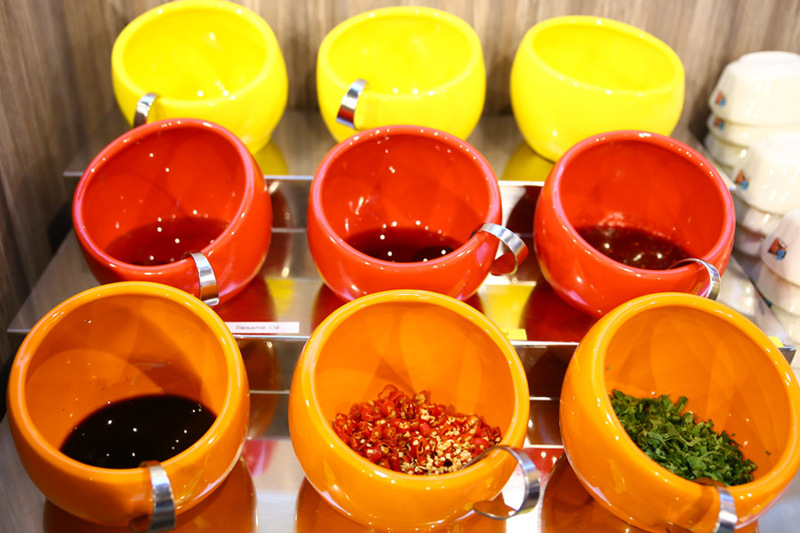 Homemade sauces such as Seafood Sauce, Black Pepper Sauce, Peanut Sauce and Sambal Sauces are available at the side counter for you to mix and match your favourite dips. Auntie recommended chopped garlic, which she said would bring out the flavours of the pork and chicken. 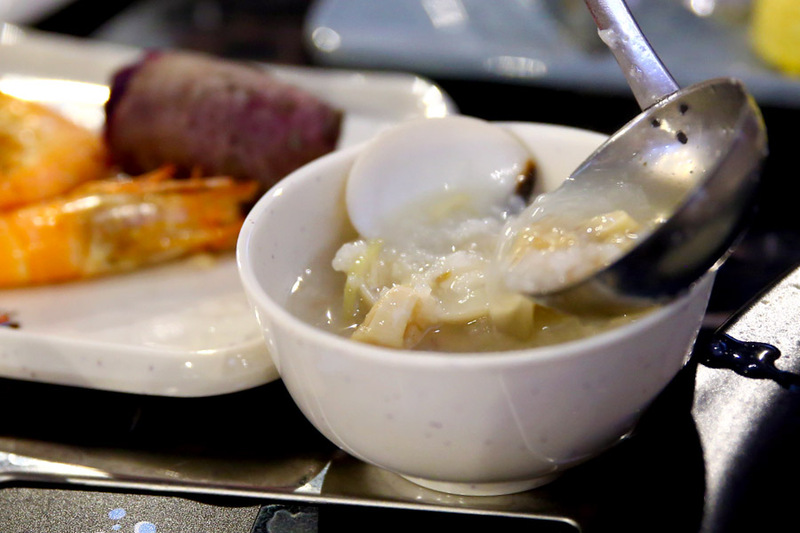 Just as you thought the meal has ended… the congee prepared right at the start would be ready, and absorbed with juices dripped from the steamed ingredients down below. Interesting, the congee wasn’t as flavoursome as I would have thought, but still a satisfying and fulfilling finish. An indicative expenditure would be about $40-$60 per person. Again, that would depend on what you order. I personally thought something was missing, could be a bowl of hot soup or something. 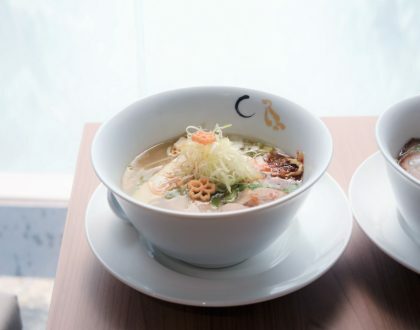 Perhaps they should include bowls as ala carte orders. * This entry is brought to you in partnership with Steam Box.